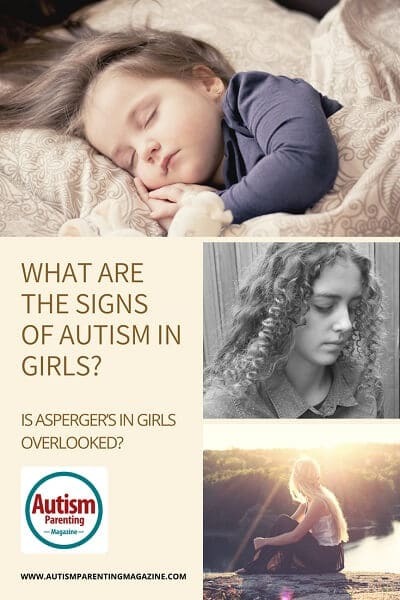 Signs of Autism in Girls - Is Asperger’s in Girls Overlooked? Autism in girls has long been misdiagnosed as their symptoms look quite different from those of their male peers on the spectrum. Are there fewer girls with autism or are they not being diagnosed? When most people think of autism spectrum disorder (ASD) or high functioning autism, often called Asperger’s syndrome, boys and men often come to mind. An obsessive desire to memorize facts and collect information on a subject they are especially interested in or the inability to have typical social interactions and maintain friendships, or even exceptional intelligence (often confused with savant syndrome) are often considered hallmarks of ASD and Asperger’s syndrome. This may make the condition harder to recognize and may only become noticeable around puberty when social interactions become more complex, and the pressure to conform is overwhelming. Are women and girls with autism being misdiagnosed? This gray area has left many women and girls with autism without a diagnosis that could, in turn, help them gain access to therapies that could help them. A 2014 study by psychologist Thomas Frazier of the Cleveland Clinic found that girl who had been diagnosed with autism had lower IQs than their neurotypical peers as well as extreme behavior problems. The girls were also less likely to present with signs of restricted interests (usually a diagnostic factor for Asperger’s syndrome). Women and girls with Asperger’s syndrome often find themselves misdiagnosed or at a higher risk for co-occurring conditions which may be derived as coping skills or entirely separate issues. According to a study published online on the US National Library of Medicine National Institute of Health website, women and girls with Asperger’s syndrome are likely to have higher instances of depression, bipolar disorder, anxiety, obsessive-compulsive disorder, and attention deficit hyperactivity disorder (ADHD). While these issues may be co-occurring, they are often diagnosed as the only explanation for the symptoms presented by a girl with Asperger’s syndrome. Seeing the larger picture of how and ASD fits in with a co-occurring disorder is crucial to providing the girl or woman with the best therapies and resources available. ADHD may be the most common diagnosis girls receive before, or in some cases instead of, Asperger’s syndrome. The overlap of symptoms can make it difficult to diagnose girls and women on the spectrum, especially with current diagnostic models largely representing the male presentation of autism. Many girls with autism retain their diagnosis of ADHD, but in conjunction with an ASD diagnosis have a greater explanation for their experiences and access to more resources to help them. Acknowledging this fuller picture is crucial to helping not only girls with Asperger’s syndrome, but their families make sense of the world through the unique lens of autism. How can a diagnosis help a girl with autism? 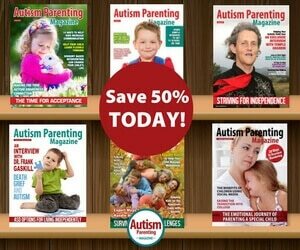 Just as with their male counterparts, women and girls with autism benefit greatly from being diagnosed at a young age. An early diagnosis can mean earlier access to therapies and resources and more time for the girl and her family to learn how to cope with an ASD diagnosis. Early intervention is key, but a diagnosis later in life is better than no diagnosis at all. Young and adult women who are diagnosed with autism might have to play catch-up on social skills and coping mechanisms, but after an adjustment period, most girls and woman find relief from receiving their diagnosis. After a diagnosis is given, you or your child can be placed with therapists, occupational therapists, psychiatrists, or other professionals who can answer questions and help you or your child to live a fuller life. Social skills classes are available to help women and girls with autism learn how to cope with challenging social situations and form interpersonal relationships. Therapists can also help girls manage co-occurring conditions such as anxiety, depression, bipolar disorder, obsessive-compulsive disorder (OCD), or anorexia form positive coping skills and make sense of these other disorders as they pertain to a girl or woman on the autism spectrum. What is the cost of not knowing? 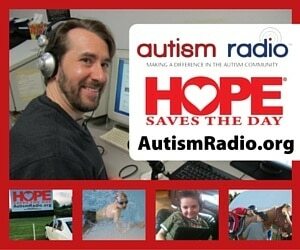 Seeking testing for ASD, especially for a girl, can be a daunting undertaking. As a parent, you might feel conflicted as to whether a diagnosis is necessary for your daughter. 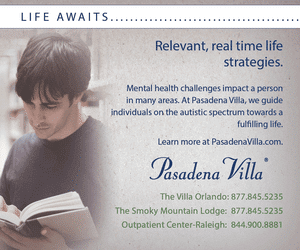 It is important to keep in mind that people with autism can live fulfilling and beautiful lives. A diagnosis will open the door to further therapies and resources for you and your child. Finding a specialist who understands autism in girls and women is crucial to helping your daughter learn how to set boundaries, speak her truth, and manage her mental health. What kinds of therapies can benefit autism in girls? Autism in girls has a variety of options for therapies. Applied Behavioral Analysis (ABA) is particularly helpful for young girls (under the age of five), but older girls can benefit as well. ABA helps to manage challenging behaviors through positive reinforcement, as well as teach social and motor skills. Adolescent girls may benefit greatly from psychotherapy or “talk therapy” with a psychologist who is trained to help girls with autism. During psychotherapy, the client and therapist will work together to process challenging situations and create plans with manageable steps to address unhealthy thought processes of behaviors. A psychotherapy session is a place where clients are encouraged to ask questions, vent, and seek guidance. Occupational therapy is another option for children who need help establishing routines and carrying out daily tasks. An occupational therapist can help your daughter learn skills that will help her at home, school, or in the workplace. Girls and women with co-occurring disorders such as obsessive-compulsive disorder, anorexia nervosa, or who are trauma survivors may need additional specialists on their team. As more women and girls are receiving ASD diagnosis, specialists are becoming more aware of the unique way women and girls on the autism spectrum present and are developing new ways to help them thrive. If you are unsure where to begin, your daughter’s pediatrician or primary care doctor will likely be able to connect you with resources in your area. Hi! Great infoin this article, but another wonderful resource for families and individuals with Autism is a speech-language pathologist (SLP). An SLP can address receptive and expressive language skills as well as social language/communication to help these individuals. Hi, Brittney. Thank you so much for taking the time to read my article. You’re right, a SLP is an incredible resource; I’m so glad you mentioned this. Thanks! As a girl with ASD, this article is extremely accurate. I was luckily diagnosed as a child. I was misdiagnosed with ADHD before being diagnosed with anxiety, OCD, and Aspergers. All of the traits mentioned I can really relate to. This article describes the lengthy diagnostic journey of my daughter . First her OCD diagnosis came, then her ADHD at 13. That took me six years for professional to listen. It wasn’t until her behaviour was causing so many issues she was assessed again and given the HFA identification at almost seventeen. Thankfully to the different therapies and a treatment program learning coping strategies she is doing great. Soon going to College. Hi Theresa, we’re glad to hear that despite years of difficult times, your daughter is now doing very well and will soon be a college freshman. Thank you for sharing your story which we know will inspire lots of parents with children on the spectrum. I am a mother of 3 girls with ASD, my eldest with classic non-verbal Autism, my 19yr an extremely bright articulate mature girl with extreme anxiety, depression and eating disorder and Miss 13 a classic melting down tween with the social age of about 5yrs old! This article definitely depicts the struggles and achievements my younger 2 have experienced, and still are – how different yet so similar to those of my husband and son who also have ASD! The lack of diagnosis is a big thing, although with so much experience I identified the needs and deficits early. However, this did not stop my middle daughter from extreme depression and suicidal thoughts after she left school; and Miss 13 is struggling mightily with the social requirements of being a girl entering her teenage years. We are seeking physiatric assistance early for her in the hope of avoiding the holes her older sister fell into! A very well written article.